This listing is for 2 necklaces! You can order one for your mini, or one for a friend! 1. The monogram for both necklaces in THE ORDER YOU WANT IT TO APPEAR. Please indicate which monogram is for then Mommy necklace and which is for the Mini. Monograms are generally in the First Last Middle order (example Ashley Lee Smith would be ASL). 2. 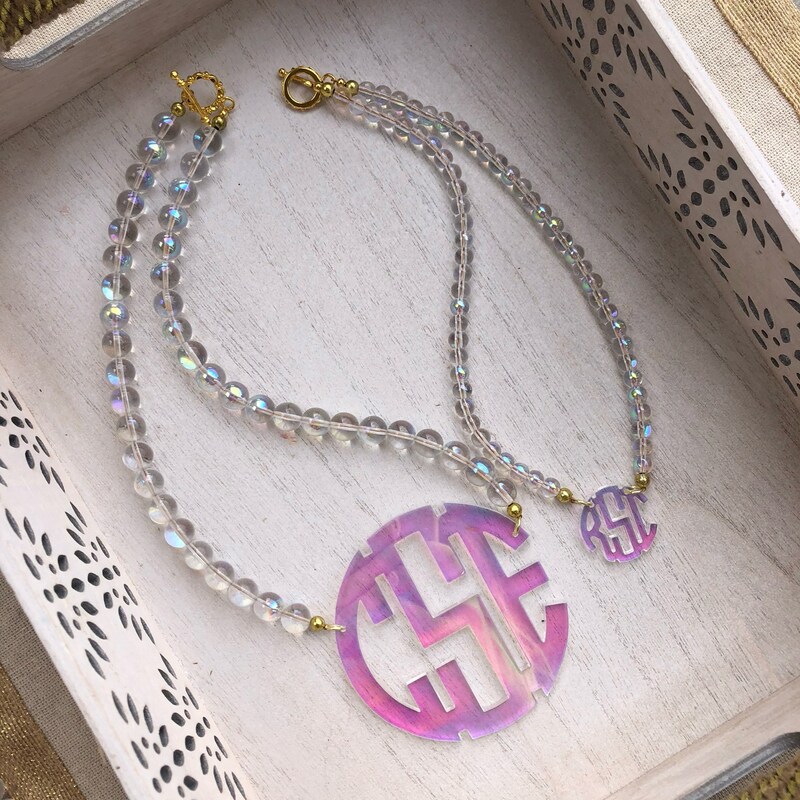 Any changes you would like to make regarding monogram size, bead size, necklace length, ect. Some customizations may be unavailable. Current turn around time is approx 3 weeks!